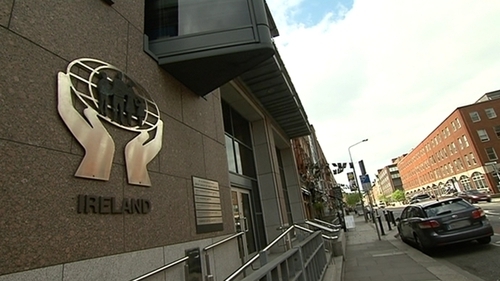 More credit unions would be able to offer mortgages under proposals published by the Central Bank today. The financial regulator has proposed amending the credit union lending framework, which would make it easier for some branches to offer long-term home and commercial loans. The proposals include the removal of a cap on the amount of long-term lending an individual branch can make. Credit unions would instead have home mortgage and commercial lending limited, on a tiered basis, by the total value of the assets it holds. "The proposals support diversificiation in credit union loan portfolios," the Central Bank said in a statement. "Revisions would allow those credit unions with sufficient financial strength, competence and capability, to undertake additional home mortgage and commercial lending." The Irish League of Credit Unions said it welcomed the move, adding that it had long campaigned for long-term lending limits to be reviewed. We have been keenly aware of the need to expand our reach in the residential mortgage market in order to ensure credit union members, and consumers in general, are benefiting from real competition and diversity," the organisation said. "We can only become significant players in the mortgage market with an amendment to the current lending limits." The Credit Union Development Association also welcomed the move, with its CEO Kevin Johnson saying it would bring "the must needed changes to regulations that will see credit unions support more members to become home owners. "Since CUDA launched its mortgage solution, almost €43m in mortgage lending has been processed - over 400 mortgages - and volumes are growing as an increasing number of credit unions sign-up to the service," he added. The Central Bank said the proposed changes came after a comprehensive review of the current credit union lending framework. It is now seeking feedback from credit unions and other interested parties. The financial regulator also stressed that, should the changes come into effect, credit union boards would need to ensure they understood the impact more long-term lending could have on its balance sheet. "We emphasise the need for the boards of credit unions to ensure that they understand the risks involved, including financial, regulatory and consumer impacts," it said. "They must also understand how long term lending fits within their credit union's lending strategy, risk framework and capabilities."